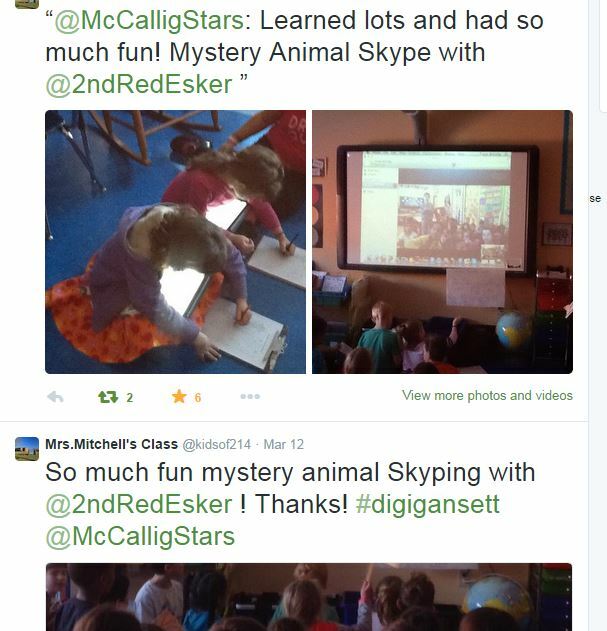 We have been using Skype and Twitter to help us learn. 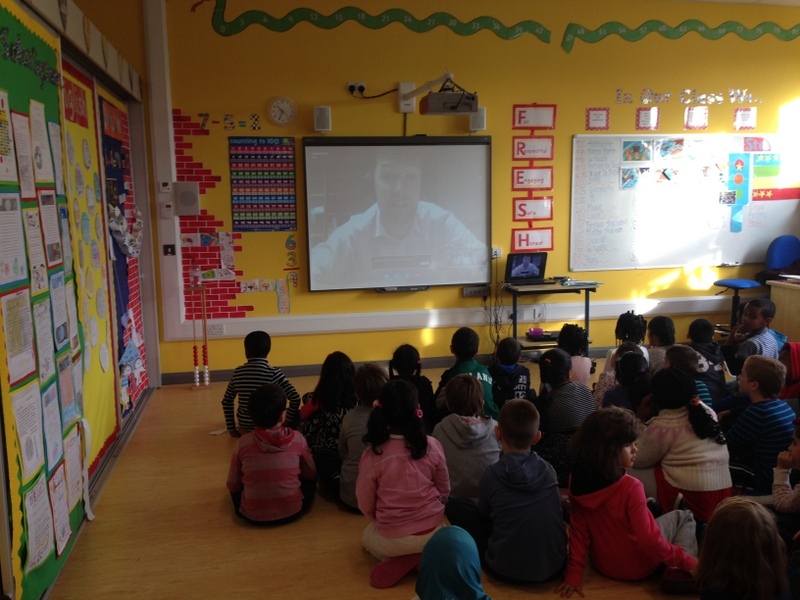 We were able to interview Dr. Joseph Roche on Skype. First, we did our own research on the Mars One Mission. Then we were able to use our research to come up with interesting questions for Dr. Roche. Some of our favourite facts were that the sky is red on Mars, that the astronauts are not even allowed to bring a football and that they may have to eat insects!!! 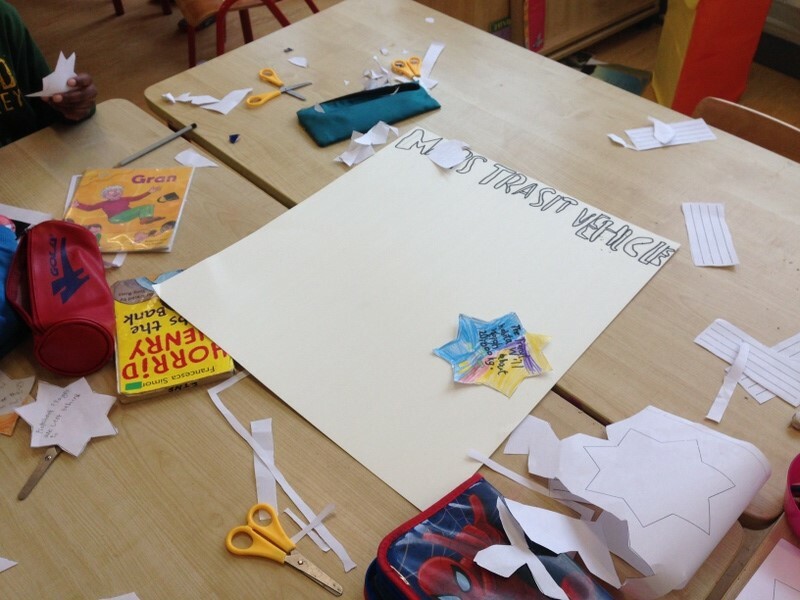 Twitter also helped us during our Solar System project. It was extremely exciting to find out that history was being made as we worked on our project! On 12 November 2014, the Rosetta mission landed its Philae probe on a comet. This is the first time in history that this has ever happened! 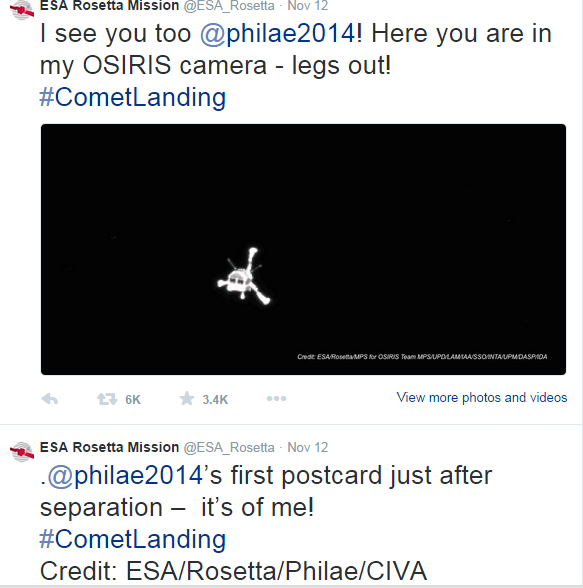 The Rosetta spacecraft and the Philae lander sent each other messages on Twitter and it was through these that we stayed up to date on the latest news about the mission. You can read more about the Mars One Mission and the Rosetta Mission on the 'Solar System' page of this blog. 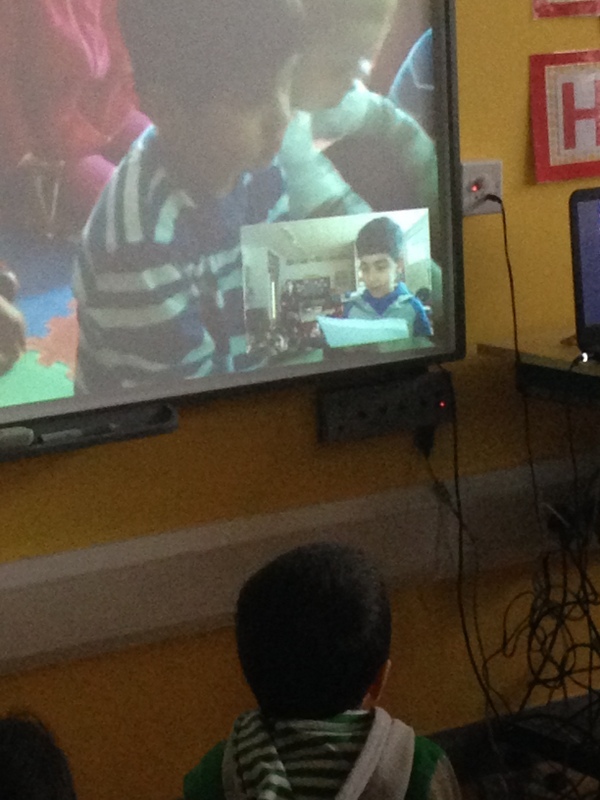 We have used Skype and Twitter to learn about what school is like in other countries too. 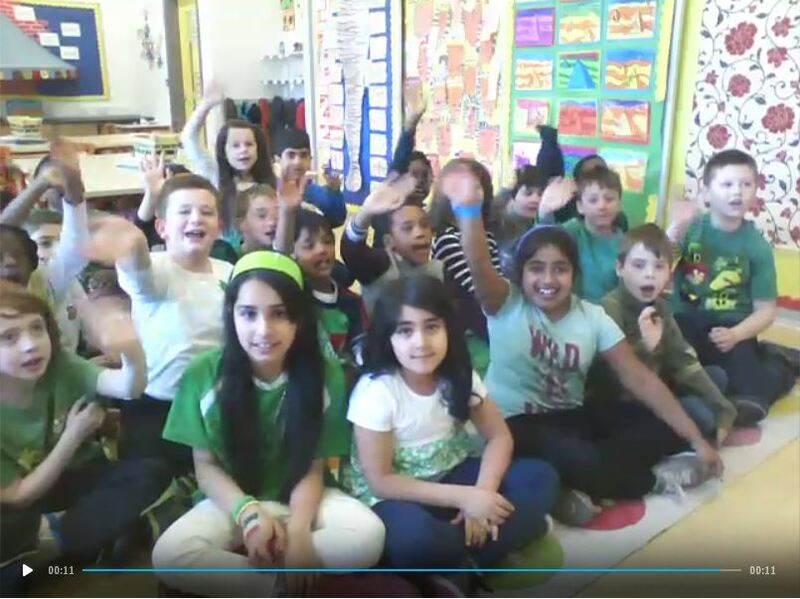 Our Skype buddies from Narrangansett, Rhode Island were able to tell us lots about school in the U.S.A.
First, we decided on the questions we wanted answered. 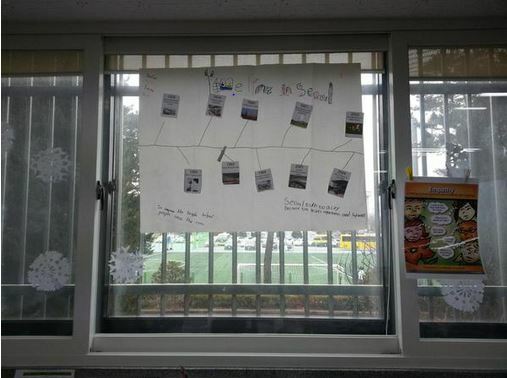 Then we shared them with our Skype buddies on Twitter using padlet.com. 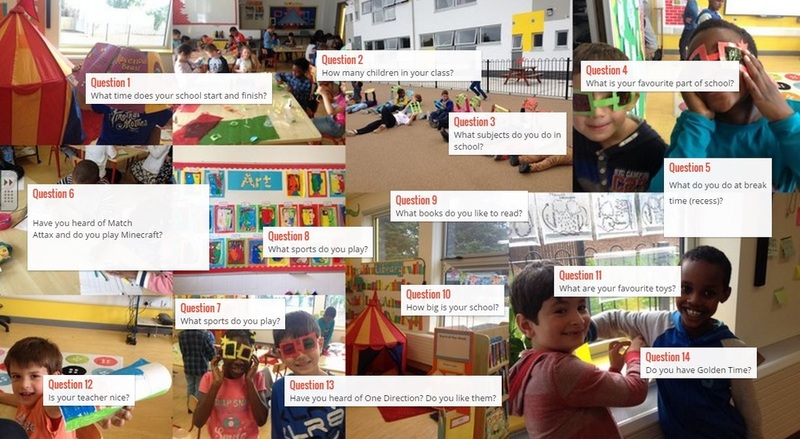 Here are some of the questions we came up with. They shared their questions with us this way with us too. 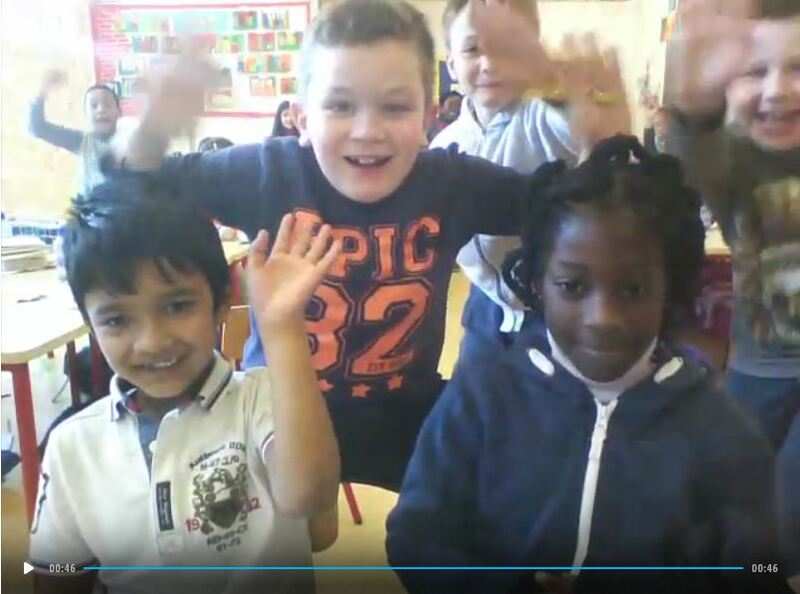 We each prepared our answers and had them ready for our Skype call! They learned lots from us! They posted this picture on their Twitter account. 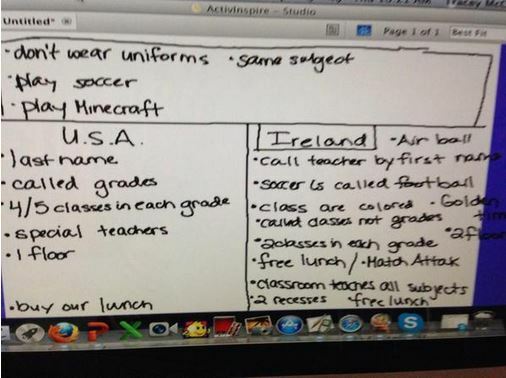 We can learn things about other classes on Twitter without Skype too. 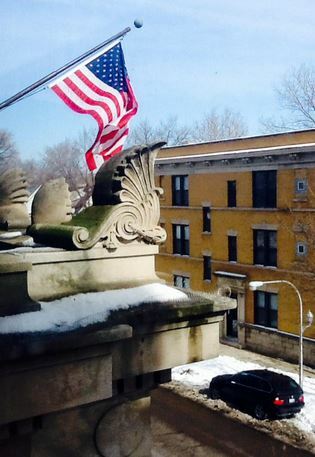 A teacher in the U.S. asked 'What can you see from your window?' 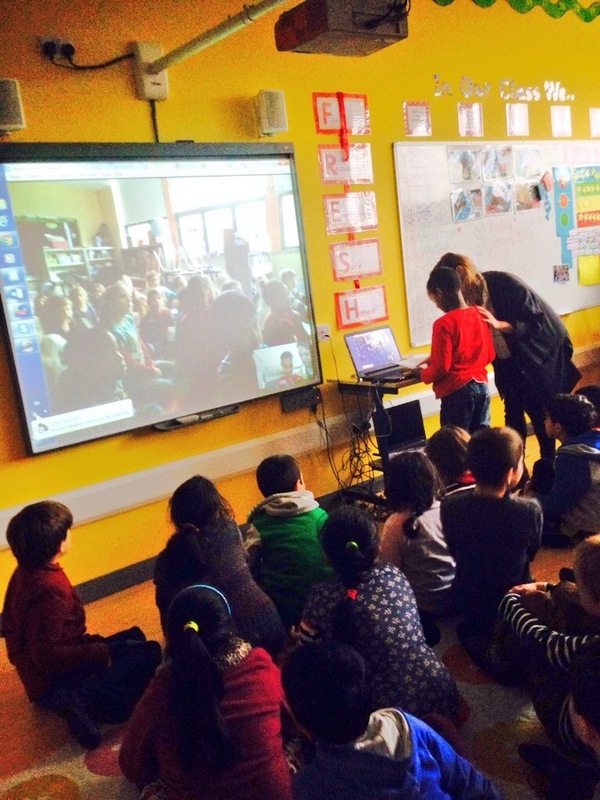 and we got to see the view from classroom windows in Chicago & Philadelphia, America and Seoul, South Korea. Look!! 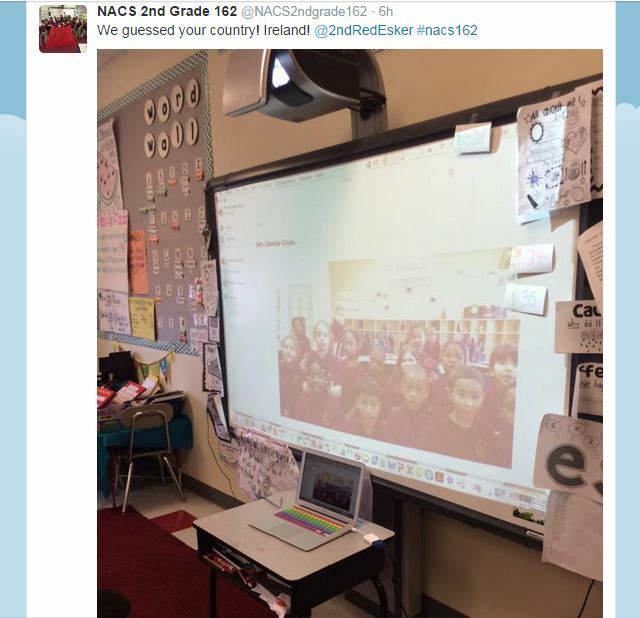 We were able to help others to learn with Twitter too. Even student teachers in university have questions for us!! 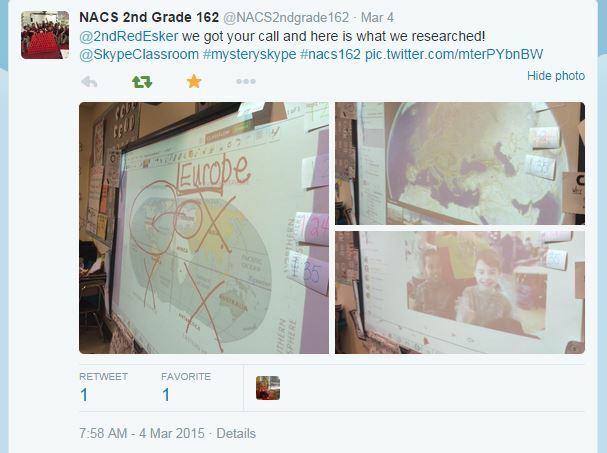 Our #MysterySkype video messages have allowed us to send clues to another class in a mystery location. 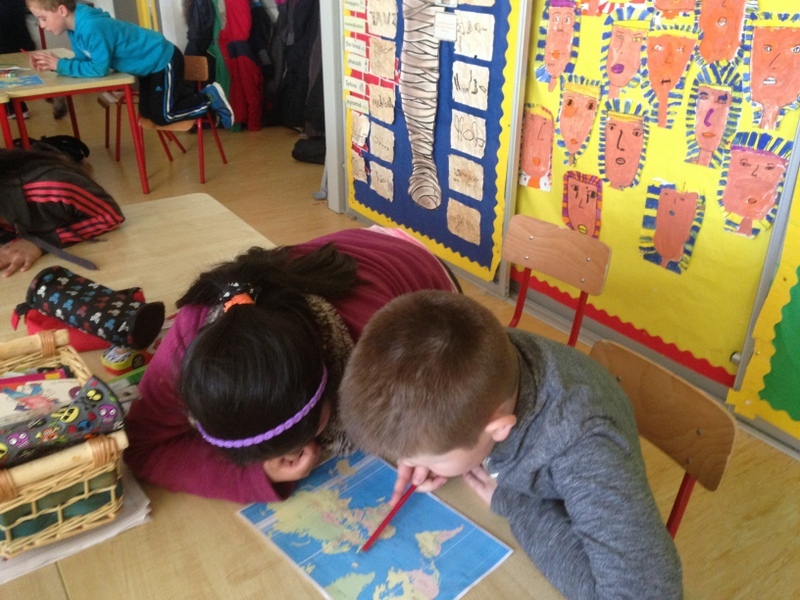 After listening to their clues, we did some research to try to discover what country the class is from. "Our country is part of Europe. Along with 18 other countries in Europe, we use the Euro as our currency. It’s worth a little less than an English pound and a little more than a US dollar." "Our climate is mild and wet. It never gets really hot or really cold. 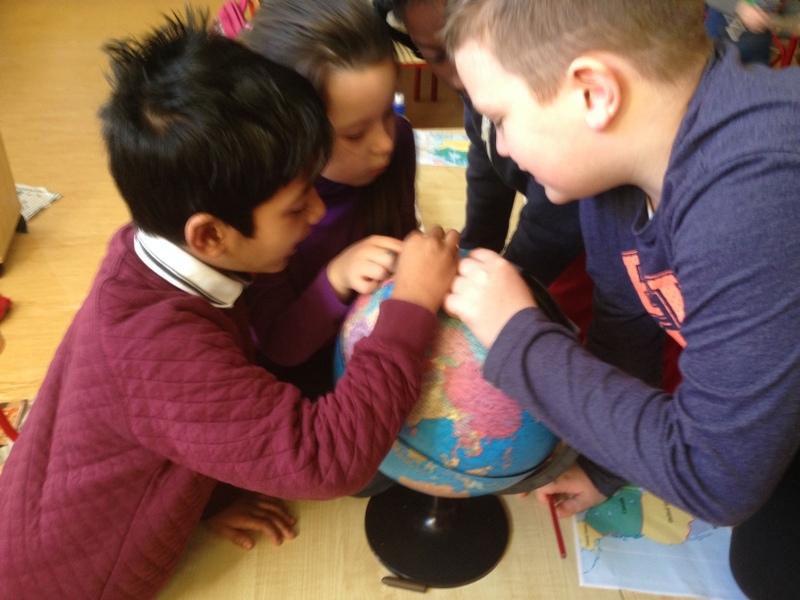 The average temperature is about 10 degrees Celsius (50 degrees Fahrenheit)"
Our mystery class used this information to do some detective work. 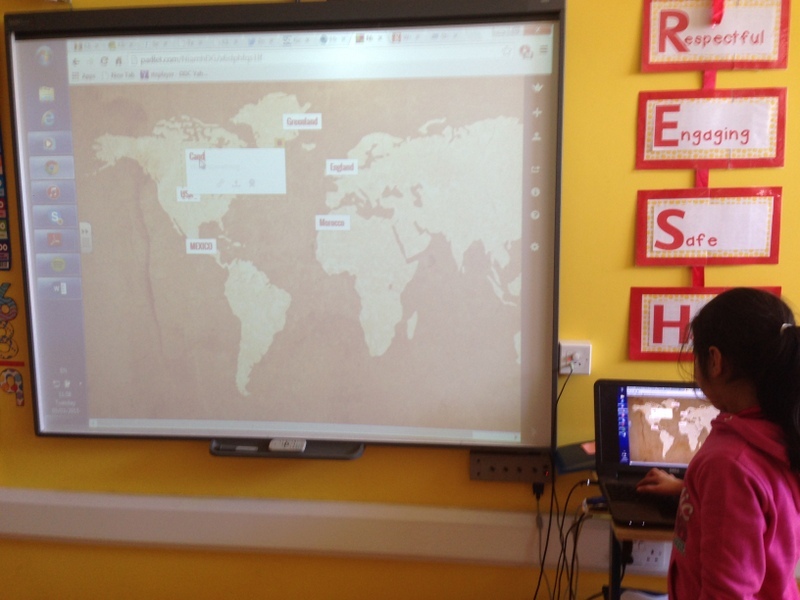 Using the first couple of clues they sent us, we were able to confirm that they lived in the United States. 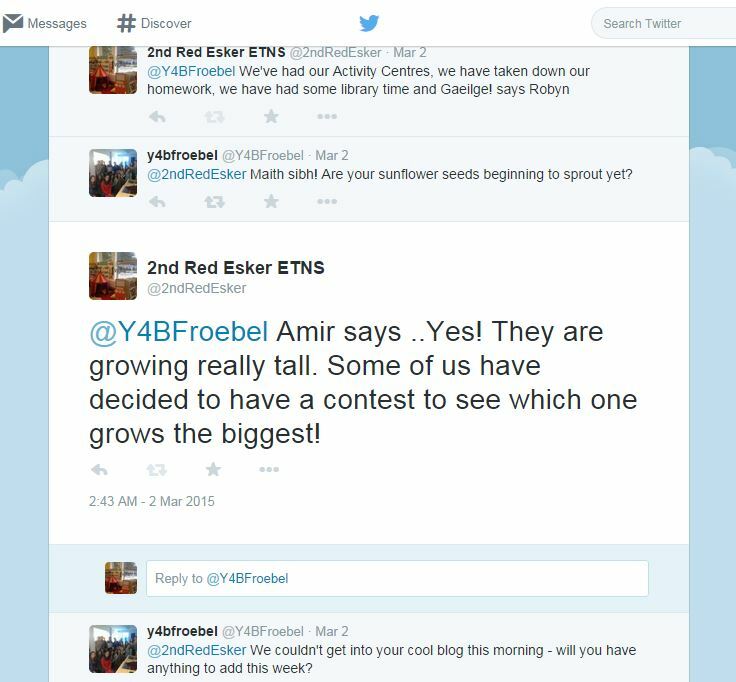 We then found out that they lived in the northeast of the country and we were able to eliminate certain states. Their final clues confirmed that they were from Pennsylvania. 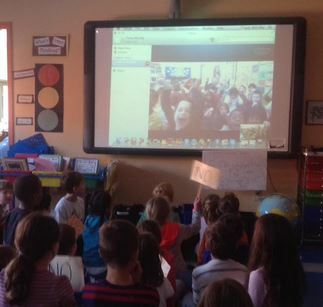 We all featured in the final video message- our guess! Our clues led them to the correct answer too! They have sent us a video message with their guess- Ireland- and have posted this guess on Twitter too! We would have to ask 20 questions to discover their mystery animal and answer yes or no to their questions to allow them to do the same. In order to do this successfully, we had to do some research, both on our own animal (the red deer) and on animals that can be found in Rhode Island. 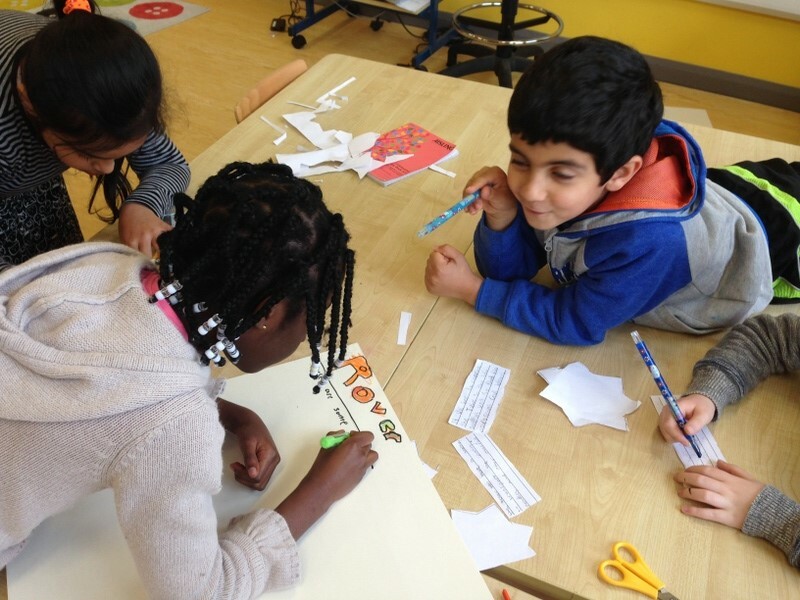 Our research meant that we were able to answer their questions accurately. 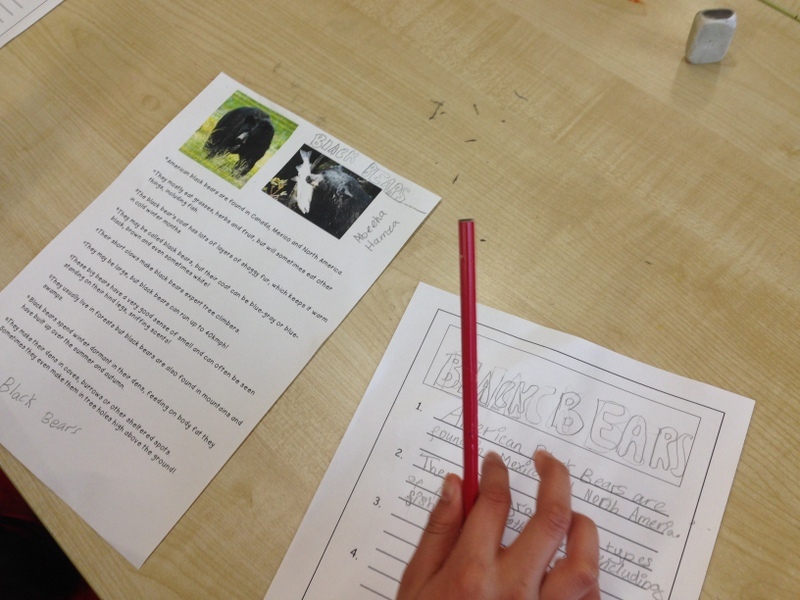 It also allowed us to use their answers to identify their mystery animal. We were extremely excited to get the right answer- a skunk!! 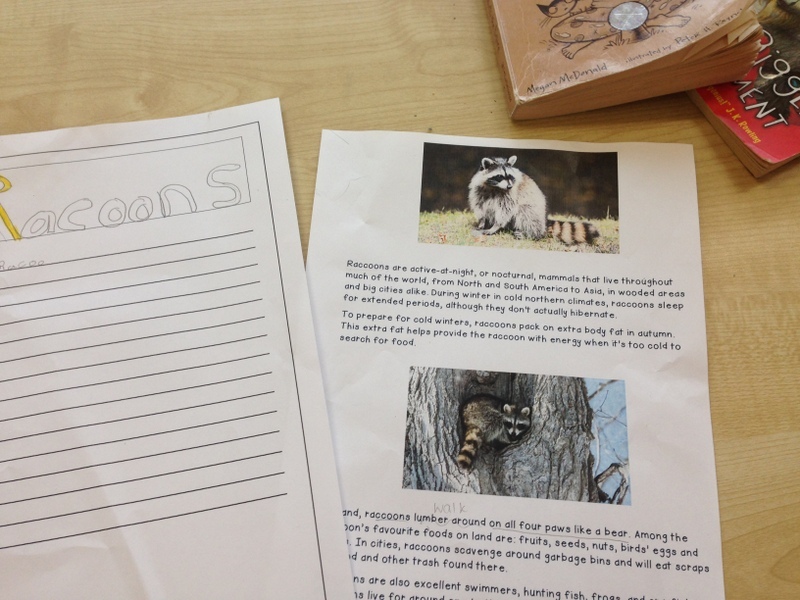 We learned so much about the animals we researched and had so much fun doing it. Twitter told us that our Rhode Island friends felt the same way! !